Whether you are sending an email, twittering, or just wondering if it’s appropriate to answer your phone, here are the answers to all your communication questions. Covering phones, the Internet, television, and much, much more, this accessible and lively handbook provides up-to-date information on all your modern electronic needs. Written by the founders of the National League of Junior Cotillions, this book provides the reader with access to information sought after by hundreds of people. 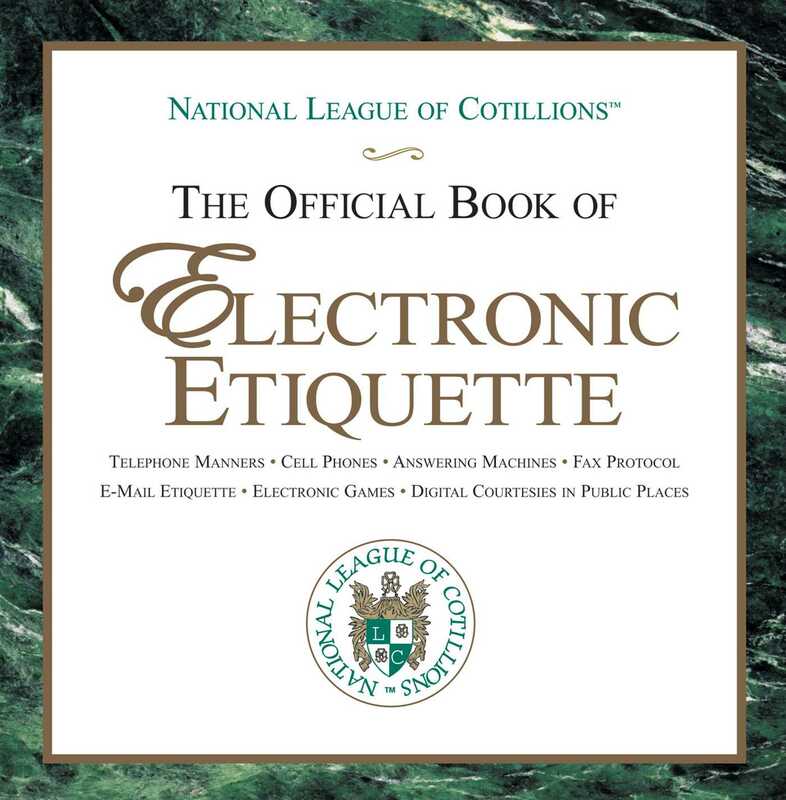 With an easy question and answer format and a full, comprehensive index, The Official Book of Electronic Etiquette is a necessity for everyone who wants to know right from wrong in the electronic age.